REGISTRATION: For the safety and enjoyment of all, a maximum of 500 entries will be accepted in 2019 for 10K road race. Registration is only open to persons over the age of 16 on the 30th June 2019. Online entries after midnight on the 16th June 2019 will have to collect a race vest on the day. Online enteries close at midnight on 26th June 2019. 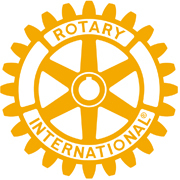 Postal entries will close at midnight on 16th June 2019. If your entry is accepted, your entry fee is not refundable. Your official 2019 'The Black Counrty Road Run' Number bib will act as your receipt and will only be issued after acceptance of your completed entry. Fun Run number bibs and your event information pack will be dispatched to your nominated address at least a week before the event, sent by second class post. The Black Country Road Run Committee is not responsible for applications lost in the post and proof of posting is not proof of receipt. You enter 'The Black Country Road Run' 10K race entirely at your own risk and the organisers will not be held responsible for any injuries sustained by you or for any property lost before, during or after the event. The 10km is achieved by two laps of the course. You may stop at any time or complete only one circuit to suit your own fitness level. If in difficulty or any doubt stop. Marshall instructions must be obeyed at all times. Any participant not following the Marshalls instruction will be asked to leave the course immediately. REGISTRATION: For the safety and enjoyment of all, a maximum of 800 entries will be accepted in 2019 for the Family Fun Run. 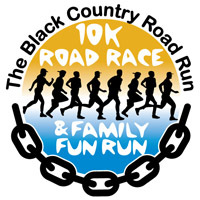 Your official 2019 'The Black Counrty Road Run' Fun Run Number bib will act as your receipt and will only be issued after acceptance of your completed entry. Fun Run number bibs and your event information pack will be dispatched to your nominated address at least a week before the event, sent by second class post. You enter 'The Black Country Road Run' Fun Run entirely at your own risk and the organisers will not be held responsible for any injuries sustained by you or for any property lost before, during or after the event. You confirm that you are medically fit to participate in the Family Fun Run event. The Family Fun Run is a “Fun” run and as such it must not be treated in any way by the runners as a race. Due to traffic restrictions you may be held up at certain points of the course to allow traffic access in and out of certain areas or to manage the flow of runners. The Family Fun Run is two laps of the course. You may stop at any time or complete only one circuit to suit your own fitness level. If in difficulty or any doubt stop.